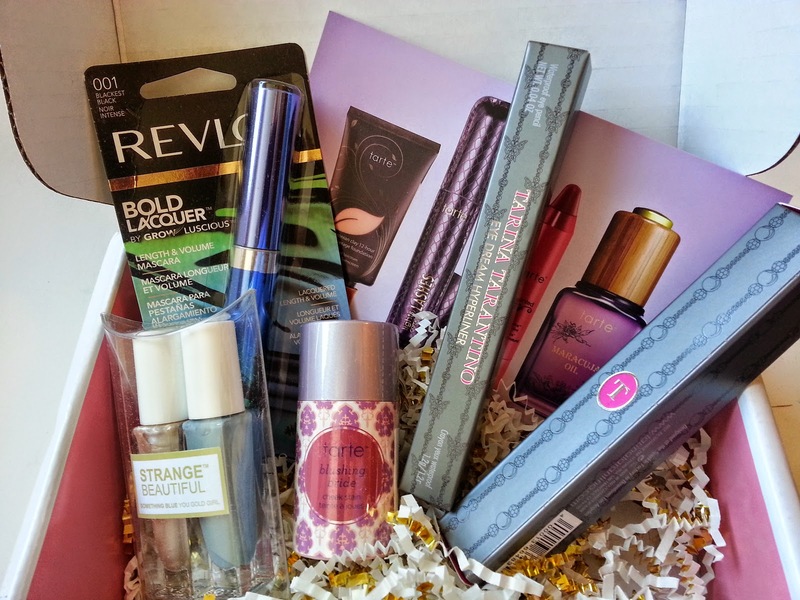 The Boxycharm June 2014 is the first box I've received from Boxycharm. I signed up last month after I saw the box contents and *had* to have it! For some reason, I've always thought this was a jewelry subscription and haven't looked into it much because of that. Now, however, that has changed!! The June box was dedicated to brides and helping everyone feel as stunning as bride even if they aren't one. The contents of this box are likely to do just that! 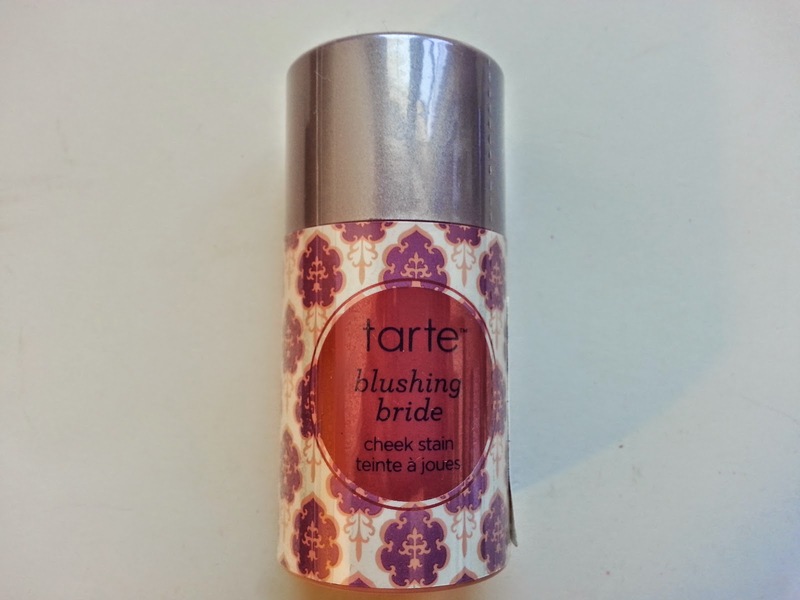 Tarte Cheek Stain in Blushing Bride- Tarte cosmetics famous 12-hour cheek stain gives a fresh blush look with skin restorative benefits with every application. This really is the best item in the box! I"m so happy for it! Tarina Tarantino Eye Dream HyperLiner- A water-resistant, highly pigmented formula provides a soft and smooth color with excellent coverage. This is a very bright blue/violet. The name of it is Cute Robot. I love blue liners, too, so this will go into rotation. Tarina Tarantino Eye Dream HyperLight-Luminizes and brightens under eyes and along cheekbones for an instant highlight effect and natural glow. This has a brush kinda like those Stila lip glazes. The highlighter seems awfully pink in the tube. I'm hesitant to use it because I love my current highlighter so much. We'll see. This might go up for swaps. Revlon Bold Lacquer Mascara- High shine black fibers provide ultimate black, bold definition for volume and length. 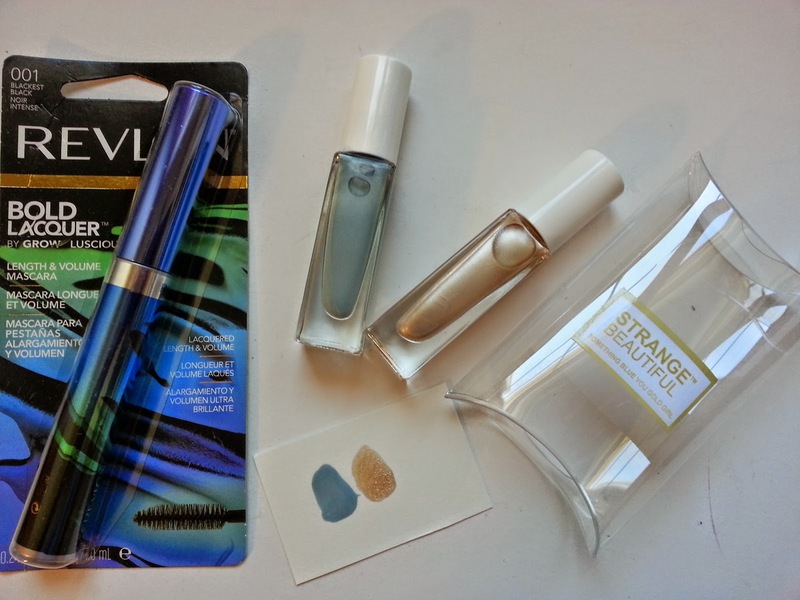 StrangeBeautiful Nail Lacquer- Highly pigmented and super saturated with a refined finish. Rich, creamy formula dries quickly with a subtle shine. So I love the StrangeBeautiful brand. I base that on the fabulous formula of the Glossybox July 2014 duo. Best.formula.ever. VERDICT: This box is pretty amazing. The retail values are not exaggerated either. This Boxycharm box is actually worth over $90! Seeing Tarte in this box is fantastic. I've been hearing about this brand and examined their product at Ulta but I haven't yet purchased anything. I'm really excited about this! While the brand variety might be a little on the short side with two Tarina Tarantino products, it more than makes up for it with the types of products included. Blush, eyeliner, highlighter, nail polish and mascara. Nicely curated in my opinion. If you would like to subscribe to Boxycharm, I would love it if you used my referral link! What do you think? 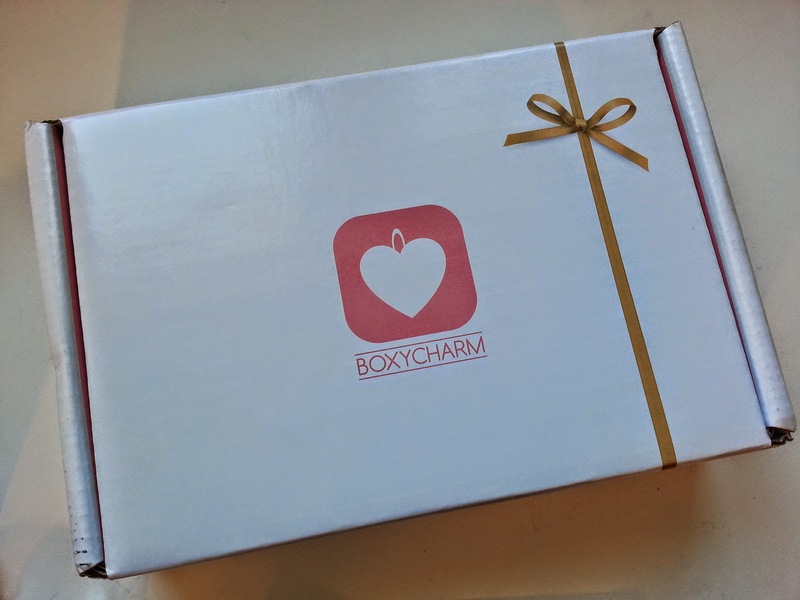 Have you been subscribed to Boxycharm? This was my first month so I don't know what to expect in future months. Are they always this good? This is a great box! 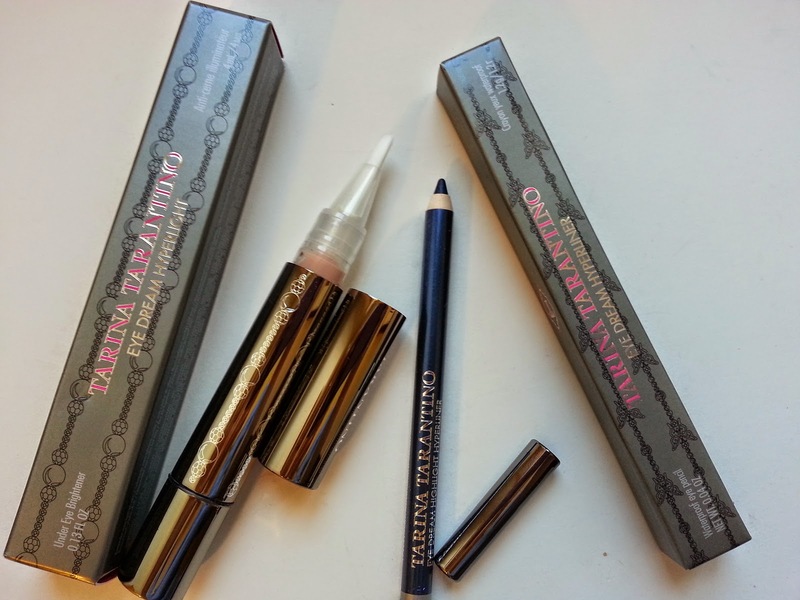 I love Tarina Tarantino products and would have completely gushed over receiving two items from her line. That eyeliner is so gorgeous! I'm wearing it now. Longevity test!